Robometricschool. - Consumer Electronic Show (CES) 2016 does not belong gadget vendor. The event is also a platform for car companies like Ford and retailer giant Amazon to show off their technology. 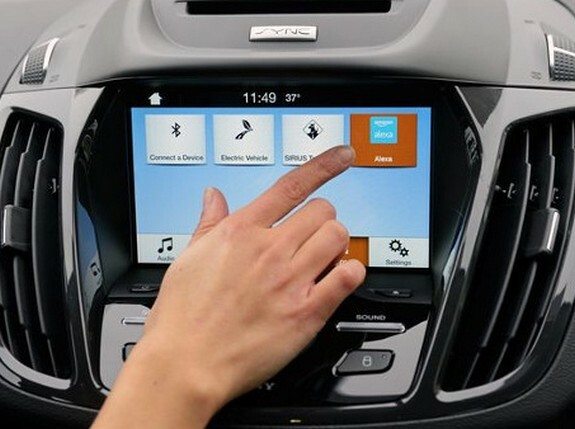 Both collaborate exhibiting Wink, platform Internet of Things (IOT), which allows owners of Ford cars enjoy access to the contents of their home, and vice versa. As quoted by USA Today on Wednesday (01/06/2016), equipped Wink Connect Sync system that utilizes touch and voice commands to open the garage door, check the temperature of the room, or turn on the lights. While inside the house, the car owner can check the availability of gasoline, even set what time the car turns on to heat the engine, through the application of Ford in smartphones. Voice commands inside the house, will be passed through Amazon Echo, the speakers are connected to a cloud-based virtual assistants Amazon, Alexa. Meanwhile, information on the status of various devices IOT landlord will be monitored through Wink.